When in India, you would think of the major Indian cities. But India also has a neat beautiful scenic spot tucked away as a Union Territory from the North to the South. This island land has 572 islands out of which 36 have inhabitants. Yes, we are talking about the popular Andaman And Nicobar Islands in India. 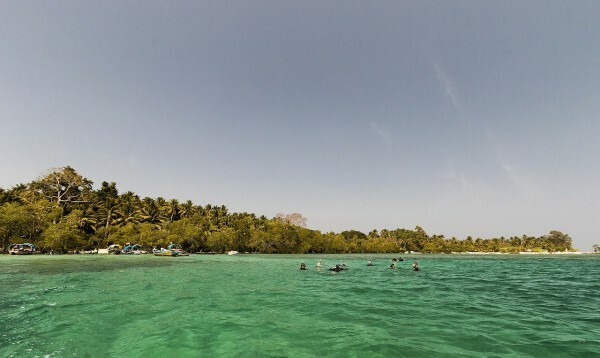 Inhabited by the aboriginal tribes since times immemorial, the Andaman and Nicobar Islands boasts of an origin of Negrito in the Andaman and the Mongoloids in the Nicobar islands. With a hilly terrain and abundant evergreen forests, it is found having a lot of timber and the flora and fauna here is stupendous. With a tropical humid climate, the pleasantness of weather attracts tourists here and the best time to visit is between the months of June to September and October to May. The foreigners who come here need to take a permit before visiting this place. Indians are allowed free entry. With Port Blair as the nearest airport a perfect five day tour to this place would make an ideal travel plan. On the first day you would be at the Port Blair airport you would be taken to the sightseeing tour and also the Harbor cruise. Then you have the sound and light show here in the jail in the island which depicts the martyrdom of the freedom struggle. The Harbor Cruise is a wonderful and memorable experience with the boat cruising along the Bay of Bengal and it is a magnificent sight to see the floating Dock, harbor, Viper Island etc which are the best sights here. The second day would see you visiting the Jolly Buoy. Also known as the Red Skin Island the boat ride to this place is a perfect treat. The view from Jolly Buoy is breathtaking and the sight of the corals underwater is visible clearly from here. The marine life here is enthralling and there are glass bottomed boats which help us to get closer to the corals. Tourists love to sun bathe here. Chidiya Tapu or the Birds Island is lovely to look at during sun set. The mangroves and the beach make it a complete experience. On the third day there are visits to the nearby water sports complex, the anthropologal and the Fisheries museum and the Cove Beach. At the Fisheries Museum we can see some of the wide variety of aquatic species displayed while at the anthropological museum we see the lifestyle of the aboriginals displayed in miniature figures. The Cove Beach is a beautiful picturesque spot and a must see for sun bathers. On the fourth day you could go to the Ross Island. This was once a British capital and today it is in ruins. SMITIKA is a museum here which displays photographs of yesteryears and the related antiques. You could return on the fifth day with treasured memories from these twin islands thus making the place a favourite spot.